Breast cancer outlooks could be improved by having a widely available female hormone added to treatments, research suggests. Progesterone, which is involved in signals between cell molecules, has been found to hold back tumour growth. 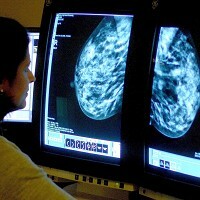 Cancer Research UK predicts adding the hormone to treatments could benefit half of breast cancer patients. The fact that breast cancer patients whose tumours have progesterone receptors - molecules sensitive to the hormone - often have a better outlook has puzzled scientists for a number of decades. But experts at the Cancer Research UK Cambridge Institute believe they have finally come up with the answer. They used cutting-edge technology to identify the crucial role that progesterone receptors play in breast cancer. The progesterone receptor was found to "talk to" another receptor sensitive to the hormone oestrogen, which fuels breast cancer in a large number of cases. This applies a brake on the oestrogen receptor's ability to stimulate tumours. Around 50,000 new cases of breast cancer are diagnosed each year in the UK. But a diagnosis does not mean life has to stop. Breast cancer travel insurance gives patients the peace of mind they need to explore the world. The researchers claim half of the 50,000 new patients could potentially benefit from their discovery. Dr Jason Carroll, one of the authors of the study, says the finding provides a strong case for a clinical trial to investigate the potential benefit of adding progesterone to drugs that target the oestrogen receptor. He claims doing so could improve treatment for the majority of hormone-driven breast cancers. Drugs such as Tamoxifen are commonly used to treat oestrogen-sensitive breast cancers. They block the hormone's receptor. In future, they could be combined with progesterone to mount a two-pronged attack on the disease. The findings of the new study were reported in the Nature journal.